BBC’s Big Questions or Big Contradictions? There have been several debates on threads here regarding whether or not Jews are a race or religion or both. It’s a complicated question, further complicated by the fact that differences exist among Jews in how they answer that question, though a great many see being Jewish as both race/ethnicity and religion. 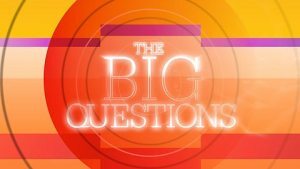 BBC’s, “The Big Questions,” hosted by Nicky Campbell claims to delve into questions relating to “moral, ethical and religious debates.” However, quite often the show is simply an exercise in which guest can deliver the best soundbite and applause line. Unresolved contradictions abound in the program, such as the one displayed in the video below. Self-styled “counter-extremism” guru, Maajid Nawaz implies that the difference between Anti-Semitism and Islamophobia is the issue of racism, though he doesn’t explain how this makes it a lesser form of bigotry and xenophobia. The contradiction and lack of nuance remains, and goes to a point we (and others) have made quite often: racism against, and racialization of, religious groups whether in the guise of Islamophobia or Anti-Semitism is not only conceivable but a well documented fact. When a Sikh or an Arab Christian is mistaken for Muslim because of their “look” this points to racism and racialization. When an Indian man is shoved off a train platform to his death or a Sikh man is repeatedly stabbed because of the perpetrator’s conflation of Brownness with Islam it points to racism and racialization. Clearly then, at the heart of much of both Anti-Semitism and Islamophobia is an undeniably virulent racism, which talking heads such as Maajid Nawaz and Douglas Murray unfortunately are all too happy to undermine with short soundbites. The Hui are very similar to Jews in the way they have married their Chinese and Islamic identities. My closest Chinese friends in Beijing were all Hui, but with my olive skin, long beard, and accented Putonghua I was usually mistaken for a Uighur. Jewish culture is a lot like Chinese culture in the sense that they are both based around a diverse literary tradition spanning thousands of years and maintained by Scribes/Rabbis/Guan/Shi/Mandarins/Scholars/etc… These literary languages are the main link between ancient and actual Chinese/Jewish culture. Not surprisingly, the “modern” states of Israel and PRC are very similar in the way they rejected their classical literary cultures and re-imagined Chinese and Jewish identity along the lines of 19th century Marxist nation-states. Still this tension between old and new is built into both states and expressed in many different ways.